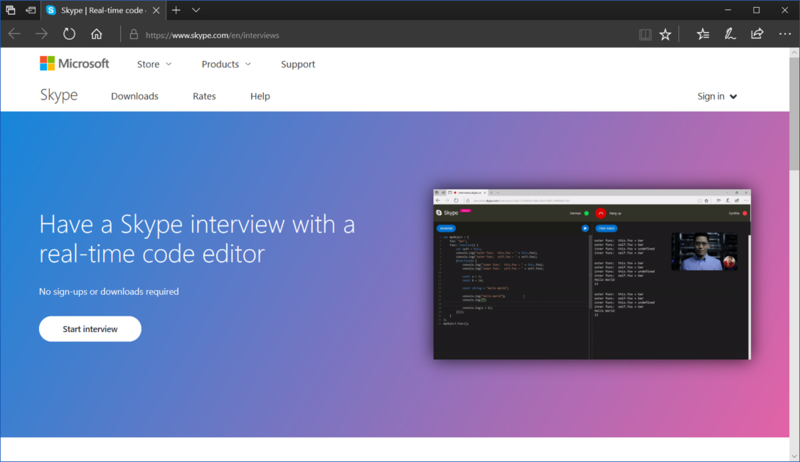 Microsoft’s latest Skype update integrates a code editor to help teams collaborate over Skype calls. Compared to Skype’s Snapchat rip-offs (the highlights feature in their mobile app) which can be classified under rudderless gimmicks at best, this latest update is actually somewhat impressive. Microsoft has over the past decade and a half solidified its position as late-to-every-party but this update shows that at least a certain segment at Microsoft can recognize and focus on truly great ideas. Contrary to recent developments, Microsoft seems to understand that Skype holds a unique position in the market, being the preferred tool for collaboration between many professional teams, and has leveraged it to further strengthen that position. Other group chat/video conference tools have replicated Skype’s model with only fraction of the success (Google’s Hangouts came close). This is especially useful to larger IT teams working in cross-functional setups, often in different physical locations. Development Managers and Team Leads can better monitor the work and implement fixes to the code by collaborating with their engineers using this tool. In its earlier stages – reviews are still pending – this feature may be best suited for interviewing candidates and reviewing their engineering and coding skills. Microsoft too has marketed this feature towards interviewers. For now, this feature is available at Skype.com/interviews. Simply click “Start Interview” to get going.